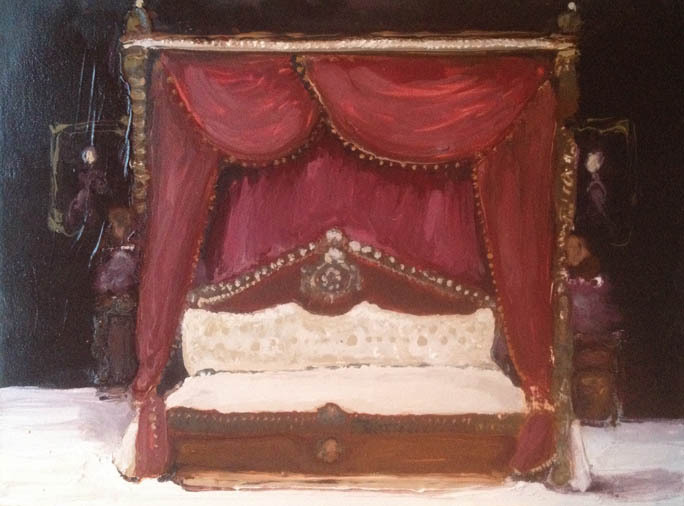 Any Place but Here is a title that Figgis has had in her mind for a long time; it exemplifies the subject matter of her enigmatic, densely worked paintings which take her into the real or imaginary worlds that surround a host of historic characters that she chances upon in books, magazines, films or on the internet. Figgis' characters are often royal or religious rulers, people whose image stands as a representative of their high status. 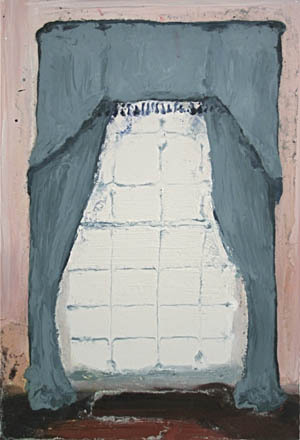 She is interested in revealing the things hidden from view to reveal the façade of portraiture. Her recent work has started to inquire into the scenery surrounding the portraits - the decor that provides an important part of their power and authority. She depicts how she imagines the times to be, trying to get beyond what the history books tell us, to revel in an enjoyment of the costumes and the staging of the drama. 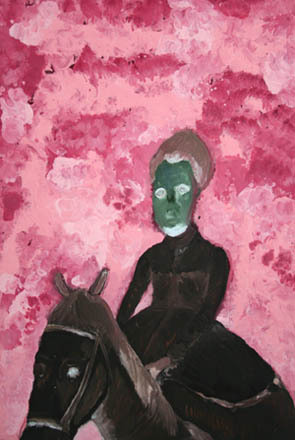 Genieve Figgis lives and works in Dublin, Ireland. Her recent shows include ‘The Carny’, Flood, Dublin, 2014; ‘Atomic’, Transition Gallery in Ravenscourt Park, London, 2013 and the Threadneedle Prize at Mall Galleries, London, 2013. She has work in numerous private collections including the Richard Prince Collection.